Cur Mozzarella cheese and tomato into equal sized slices. 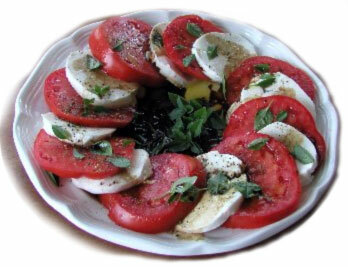 Place 1 mozzarella slice on each tomato slice. Garnish with basil and season to taste with Salt and pepper. Very good and natural recipe !